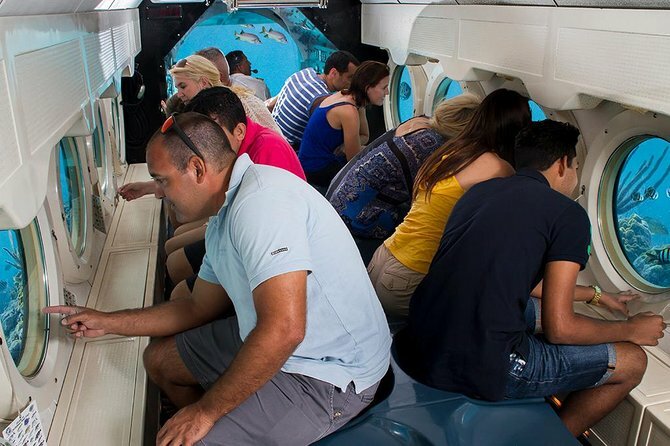 Experience Aruba's most unique underwater attraction aboard an Atlantis Submarine! Suitable for ages 4 and up, your trip aboard the world's first and most technologically advanced passenger submarine takes you into a spectacular blue world in spacious air-conditioned comfort without getting wet! Your 1 hour 45 minute (actual time in the submarine is 60 minutes) adventure begins in downtown Oranjestad, when you board Atlantis' surface vessel. Once aboard the submarine, moored just off the south-east coast of Aruba, you'll go for a thrilling dive to the Barcadera Reefs and view two shipwrecks. Along with these fascinating wrecks, you will have fabulous views of the exotic marine life, including colorful schools of tropical fish, huge sponge gardens and beautiful fields of coral. This unique experience is accompanied by an educational and entertaining narration provided by the experienced, professional licensed crew. And at the end of your once-in-a-lifetime voyage, you will receive an official dive certificate as proof that you have participated in the incredible experience that has thrilled over six million passengers. This was an amazing experience. There's nothing like the views you get at the bottom of the sea. people were very friendly and their island is just breathtaking! The submarine went down 132 feet. We saw a number of sunken ships, beautiful fish, coral and plant life. Loved every minute of it! I loved this tour...very well organized. ran on time. great fish, two shipwrecks and landing on the bottom of the sea...wonderul time. A wonderful opportunity to experience the bottom of the Carribean sea and see all the living sea creatures and lost treasures. 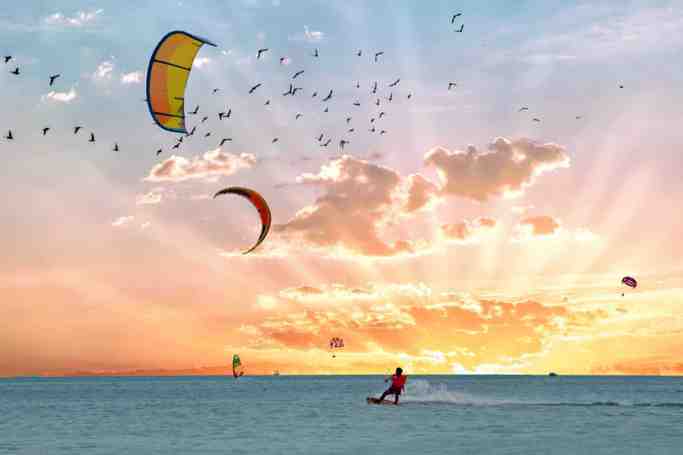 What a great way to connect to Aruba! This was a amazing experience!!!! The tour guide was so friendly and very funny which helped to make the trip more memorable than I had expected!!! I will suggest to anybody going to Aruba to take advantage of this tour!!! I truly enjoyed myself!!! I will post pics!!! The expedition was great, the service of getting my ticket to get on board was horrible. the email they sent me said that I could use the e-voucher or the place where you check in at had the information so no problem, wrong. I get there and they tell me I have to have a voucher printed out they cannot take the e-voucher. I spent an hour trying to get internet service so I could email my information to the Atlantis Expedition check in station. The lady had my name and confirmation where I purchased online, but I had to have a print out. Very dissatisfied with the service of getting checked in. The staff and equipment were great. However, the water was murky resulting in poor visibility so that you could not see all that there may have been to see. The variety of fish and coral was not that great, which may just be a function of what is available off of Aruba. We saw several sunken boats that were mildly interesting. We have taken the Nautilus submarine tour off of Lahaina, Maui and found it to be much better - clearer water, greater variety of fish, etc. A very packaged tour. The ship cruises were much more enjoyable, and we saw very little in spite of the guide tours trying to get us excited seeing a few fish. I was not a fan at all. If you are sitting on the left side of the boat once coming down, you do not get to see anything. This tour is not worth the money that i spent. 80 of our view was nothing but ocean water. The tour guide on talking loud on the radio phone the whole tour as well. I was so disappointed. Do not waste your money.